Marketers are faced with increasing competition as more and more brands are creating high quality content on a consistent basis. To stand out in a sea of content, many companies are incorporating influencers into their content marketing strategy. 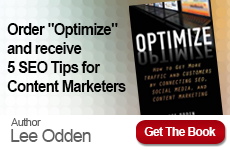 At TopRank Marketing, we create content driven influencer marketing programs for ourselves and our customers as part of what we call a best answer strategy. 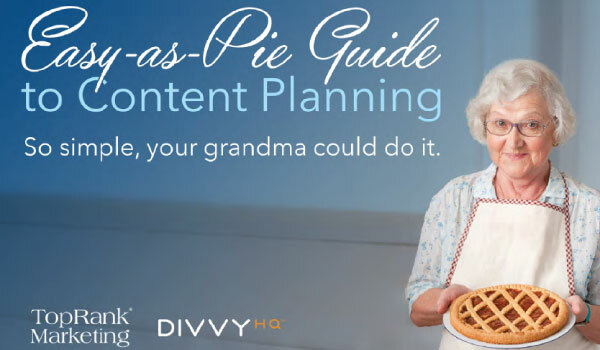 Recently, we deployed an awareness based co-marketing campaign with DivvyHQ, a content planning software company that incorporated an infotaining theme, and insights from some of today’s top content marketers. The main objective of the program was to create awareness for DivvyHQ’s platform and TopRank Marketing’s digital marketing services. This was accomplished by deploying a marketing campaign that was optimized, socialized and influencer activated. 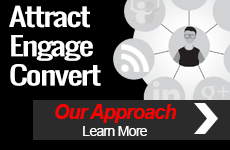 In order to appeal to our shared audience, TopRank Marketing developed a theme for the campaign that provided actionable advice for the readers as well as an entertaining approach to content planning. For this campaign, we tapped into the content marketing expertise of influencers from brands like MarketingProfs, Content Marketing Institute, Oracle, LinkedIn, General Mills and more. 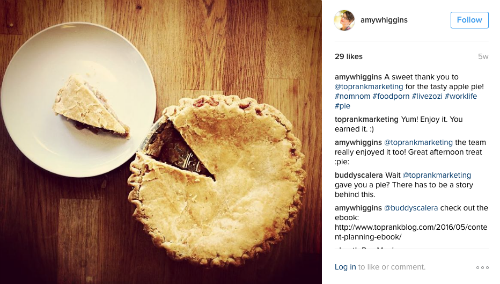 These experts provided their “easy-as- pie” advice for a simpler approach to content planning. Our team identified, qualified and recruited influencers whose message closely aligned with that of DivvyHQ and TopRank Marketing. After sharing their contribution, each of these influencers were provided a series of social messages and social graphics to make it easy for them to help amplify the news of their participation in the campaign. Additionally, the influencers were sent a pie of their choosing to thank them for their participation. Some of the influencers shared additional content on their social profiles about the pie and the project, and one even created a video that tied the two together. 5x’s the number of new prospects generated compared to the benchmark campaign. 2x’s the number of views on SlideShare compared to a previous DivvyHQ benchmark campaign. Over 1,600 social shares for blog articles alone. Social shares from high impact influencers including: Ann Handley, Jay Baer, LinkedIn Marketing, Mark Schaefer, Jason Miller and more. If you would like help developing an influencer activated content marketing strategy, contact us today!